Having been through the whole "engaged thing," and having heard advice from every qualified individual I know, as well as being in a marriage prep class at school, I find it interesting how newly engaged couples (and particularly the girl) will say things like, "I've met the perfect man." Or, "How lucky I am to be married to a guy who's perfect in every way." Or something to that effect. They put those kind of phrases in their facebook statuses, paint them on their car windows, or gloat about it to their friends. What ever happened to that very appropriate phrase that goes something like this: Before marriage keep your eyes wide open, and after marriage keep them half shut? 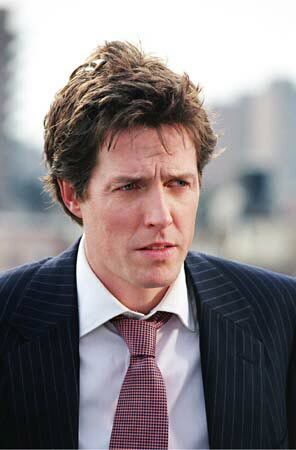 Honestly, that euphoric puppy dog love phase can dupe you if you're not careful. You shouldn't just fall in love with your heart, and your eyes, or even just your soul. You need to fall in love with your brain too. If you think your partner is perfect already, you're probably drinking too much nyquil, or have only been in abusive relationships. Perhaps you have met a great guy or gal. But they have faults. And, they may seem easy to overcome now because you aren't really together. You're just dating. There's no civil mandate that joins you. But, I guarantee that even the simplest of things can and will become big issues if you don't address them now. So just remember that self-induced delirium doesn't produce the best matches. Use your brain. And open your eyes. And, after that, God Bless. Tasers don't work on raccoons. DALLAS (AP) - Police learned something during a frenetic burglary call to an elderly couple's home: Tasers don't work on raccoons. Police arrived with guns drawn after receiving a 911 call from an 85-year-old man who heard noises near his front door Tuesday night. Officers surrounded the house but pretty quickly - in the words of the police report - "determined the suspect was a raccoon." In the meantime, the masked burglar apparently made its way into the house through the chimney. And that's when things got really interesting. With officers in pursuit, the raccoon took off through the house, ripping up Venetian blinds, pulling down drapes, knocking over a lamp and toppling a flowerpot. Finally, Officer Daniel Ek tried to let it out the back door when the suspect apparently turned threatening. "While unlocking the back door, the suspect ran at Officer Ek," the police report says. 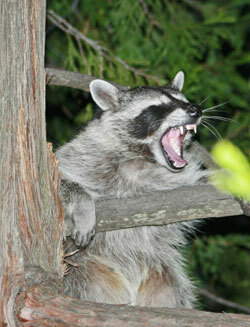 Ek used his taser, but the raccoon ran up the chimney with the stun gun's prongs in its back. An animal control officer tried unsuccessfully to flush it out with ammonia, homeowner Bill Hyde said in Thursday's editions of The Dallas Morning News. A neighbor helped secure the front of the fireplace to keep the raccoon from returning. The next morning, when the neighbor returned to put a cap on the chimney, the raccoon had escaped. "He got away clean," Hyde said. "We spend so much time with what we think matters that we don't really think about what really matters." This thought has been with me for a long time. It has constantly resurfaced as I study philosophy. It can be seen in Heidegger, Tocqueville, Aristotle, and even Nietzsche. However, I am not going to write an enormous post showing how each one of those philosophers led me to this belief, but rather I want clarify what I mean by it. So often we subject ourselves to long work days, mundane chores, and rather insignificant tasks. We are so busy distracting ourselves with distraction, that we don't know what to do with ourselves when we don't have a quest. We look for ways to be more efficient for efficiency's sake. We don't use microwaves so we can spend our leisure time philosophizing. We use them so we can spend more of our leisure time working to make more microwaves. In truth, thinking technologically, we have no leisure time. The soul is empty without a root in the metaphysical, or even in the local world around us. Breathing in the air, smelling the roses, watching the clouds, or the mere act of walking helps root us in a reality made real by a hierarchical metaphysical foundation. Everything denotes there is a God. Regardless of how advanced your temporal conjectures are, they will always be lacking. So if we only focus on the newest, best, and fastest, we distract ourselves from the reality that we always fall short of the mark. There must be something better. Something needs to fill the void of our failure. We cannot find satisfaction in being infinitely dissatisfied. I cannot compete with the Joneses. I have to look up before I look sideways. I don't say stop going to school, stop climbing the corporate ladder, stop fixing car engines and plumbing fixtures, but put it on pause. Know why you do it. Enjoy your relationships with friends, family, and God. Spend time thinking about the world in a particular way. Don't try to surmise the whole and make sense of it all with general ideas and theorems. Just try to understand what's important. What you can understand in your frame of reference. Beware all Swedish people! The Canadians are coming. And, they are coming in the form of red, gelatin candies. They are trying to disguise themselves as, you guessed it, Swedish Fish. 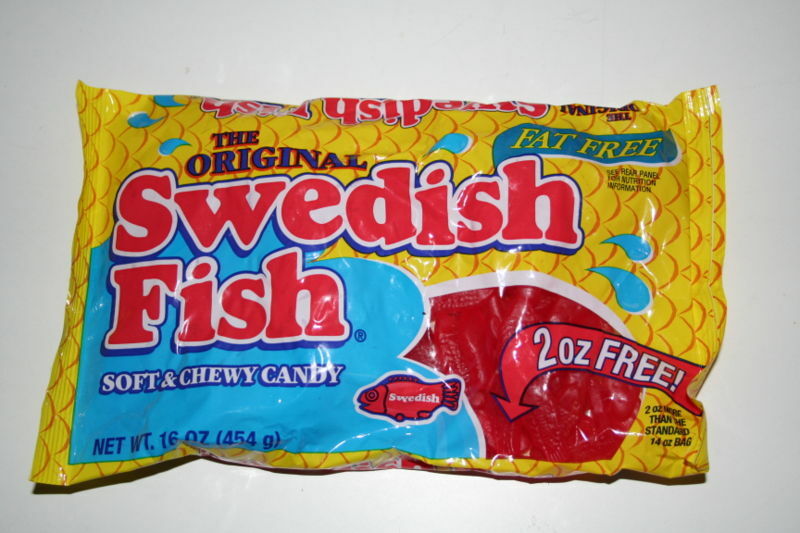 But these are not real Swedish fish my friends. The do not speak your language, or even the language of your fish. They speak a watered down French and a backwoodsy english. They are trying to get at your caribou, snowmobiles, skiing, and cruise lines. Yes they have their own, but they couldn't just stick with what they've got. They want Swedish caribou! 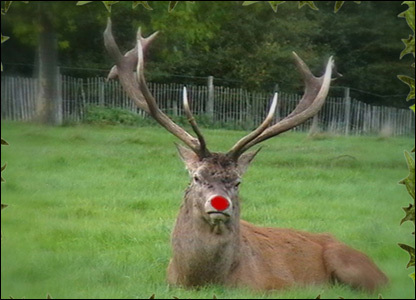 Your precious reindeer friends will be absconded with in the 24 hour broad daylight! Don't be fooled by their misleading advertisements that say they are "soft and chewy" or "a fat free food." They're carefully and methodically numbing your senses with gooey gelatinous goodness. And, what's worse is - they're funded by Cadbury Adams USA LLC. That means that they have unlimited resources of American monopoly money. Two thirds of the North American continent is after you Sweden. Be afraid. Be very afraid. Facebook, girls, and my friend "Phil"
Well, I have a whole list of topics to write about for the next few days, but when I showed the list to my brother he said, "Meh." So I asked what I should write about. He said, "Girls." With no further elaboration, I really didn't see myself writing anything worthwhile today. However, I will make this as interesting as possible. Let's start off with a hypothetical situation in which a "friend of mine" might find himself currently. Let's call him Phil. So Phil is interested in this girl. He's only spoken to her on one occasion, and has only seen her in passing since then. Phil is an avid baseball fan and decided to watch a certain game on Sunday night instead of going to a function that would have helped him see this girl again. Thinking that perhaps another week would go by without him having an opportunity to get her number, he did something he finds quite tacky. Phil and this girl are friends on facebook. So, he writes her a note to the effect that he wanted to talk to her, watched baseball instead of going to the function, wanted her number, knew he could get it through other means, but wanted to get it from her (even if it were through facebook, which is regrettably lame). He sent the message Sunday evening. It is now tuesday. He has no desire to do a follow-up without a response, but still sees her from time to time in passing. Here are my thoughts. First off Phil, you're an idiot. You shouldn't have told her that you saw the game instead of going to the function. But even before that, if you know where she lives you should have gone over to her house and asked her out, used that as a pretext to get her number and voila! But, seeing that we can't do anything about what is past, you will have to a) wait for her response and if you don't get one, just pretend it never happened, or just say someone took over your facebook account or b) talk to her the next time you see her and ask her for her number (but don't bring up the facebook thing. If she does, just pretend that you don't know what she's talking about). If it works out, you got lucky. If not, well, my first comment stands. Michael knows the devil rays* are the spawn of Satan. Me: Can't do it [Friend]. I'm rooting for the Phils. Friend: I'm rooting for the Phillies too, but that's because I will cheer for any team in the Mid-Atlantic or the northeast in general, sans the Yankees and the Patriots before I cheer for Tampa Bay. Friend: I should note that I forgot to include the Red Sox in the sans category...sorry, no real love for New England. 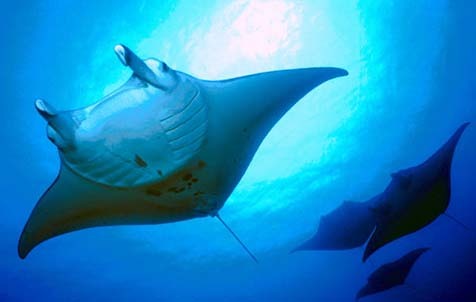 Michael felt that he should change his status to something less provocative: A Ray killed Steve Irwin, and I didn't cheer then either. Friend 2: Ha ha ha! That's awesome! Status of Friend 3: Friend 3 is starting the revolution. Me: I will join your revolution. Friend 3: thank you and I love your status. Me: That status is for everyone in New England and so the world hates the Rays for the atrocities they have committed. Friend 3: it's true. serious sin. Me: yes. Egregious. They need to confess to the Bishop. Me: I agree. They only have bandwagon fans with silicon chests and faces. Friend 3: and botox lips. If only it ended there. My brother and I talked about how good a metaphor it was. We are and will always be Steve Irwin (the croc hunter) devotees, and were devastated when he died. We are just as devoted to the Red Sox. Therefore, we think it fair to say that the Red Sox were just as savagely taken from us by the same perpetrator: Rays. I refuse to even look at them at the aquarium. * They changed the name this year to Rays, omitting the word "Devil" probably due to some irked fundamentalists. Nap time is a magical time. It's a a healthy blast to that age of teething, oral phases, blocks, fire trucks, high chairs, bouncy door harnesses, and a time when the most pressing item on the agenda was pulling the dog's tail or eating lint. Well, naps have not lost their importance in my life, even as my life has become more complicated (I now don't own a dog, and have substituted lint for pens). I am bad about getting to bed at a regular time, and even if I do, sleep is an uneven proposition that doesn't always come when I want. So, the only way to make up the lost hours, days, or even years is to count sheep on my couch at some point during the day. And that's what I'm going to do after I write this (After I finish finger painting and dipping my graham crackers in milk). Have you ever felt extremely British? I know some of my British readers have. Probably every day of their lives. Well, I've been feeling pretty British lately. I've been walking around with an umbrella more, using it like a cane. And, when I don't have an umbrella I feel strange. I also have a pension for walking at a more leisurely pace, with the posture of a Londoner on a foggy day (This fact could be very debatable). I fall into at least 2 British dialects a day. Whether I'm in the locker room getting gym clothes, or talking to some attractive woman I've just met, I slip into an accent (I've even been asked a couple times if I'm English). If that weren't enough, I speak with British inflection as well, with emphasis on the last part of a phrase. 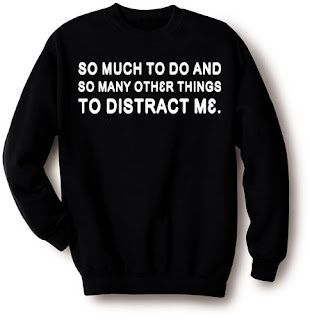 And, I'm really not trying to do it, it's just some subconscious habit. I have a hankering for tea. Or, at the very least "tea time." I stick to herbal teas for religious reasons, but occasionally call hot cocoa good at tea time too. And I guess that's another thing. I don't call it hot chocolate. I call it cocoa. Here's the clincher: I'm a nasty cricket player. Just friday night I was meandering the corridors of a building on campus where they were having a party. The party included a lot of on-campus clubs and "free" food. Well, as I was going from the Mexican Culture Party Club to the Dodgeball Club to the Jiu-Jitsu club, I cam across two Sri Lankan guys and a cricket club. I grabbed the paddle and asked one of them to pitch to me. He started out slow, not realizing I have quite a bit of hand eye coordination, but then sped the pitches up as he saw me smashing the ball all over the place. And I hit every good pitch. Line drives, towering fly balls, whizzing grounders. Oh yeah. Cricket is my new game. So I'm basically British. Citizenship aside. Do you think it was right that I voted in this year's US election? 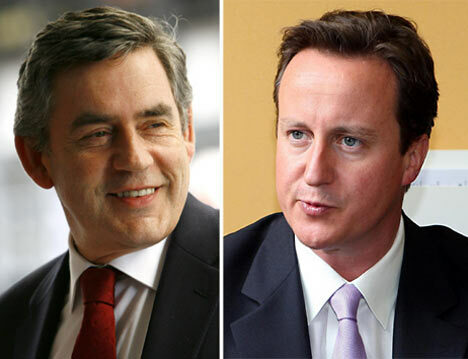 Maybe I should've written in Gordon Brown and David Cameron.